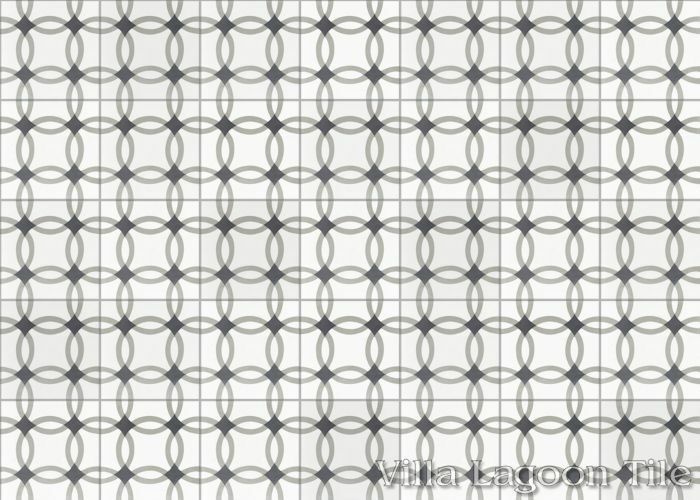 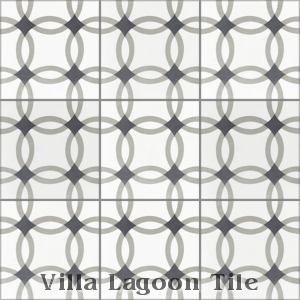 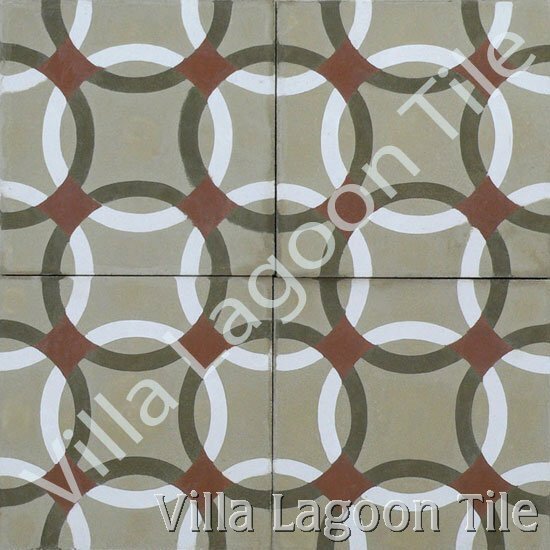 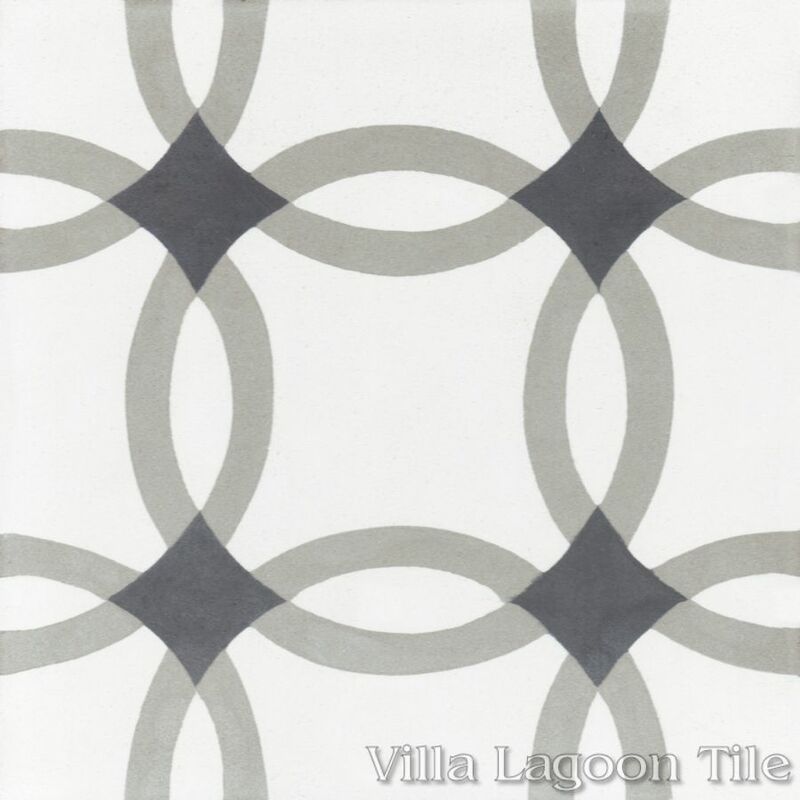 This is a 3-color 8" cement tile, using White, Seagull, and Urban Gray from the South Beach Palette. 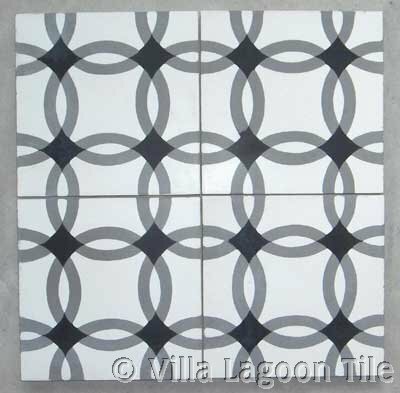 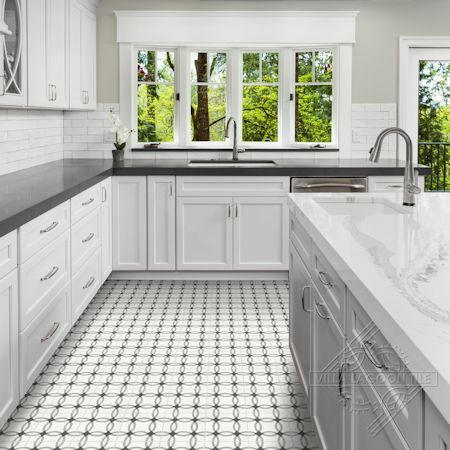 "Omni Petite" is a cement tile that can look so good in many color combinations. 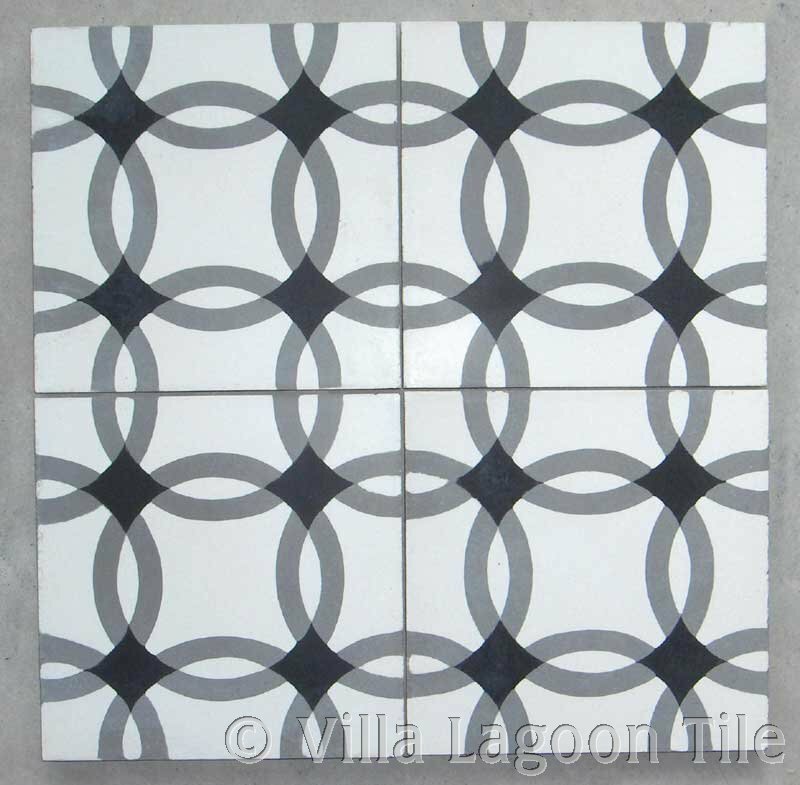 This elegant geometric design, comprised of interlocking circles can be both traditional and contemporary. 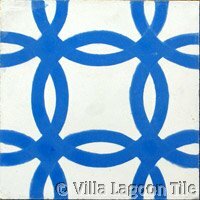 This is a beautiful installation of our Omni pattern with blue rings. 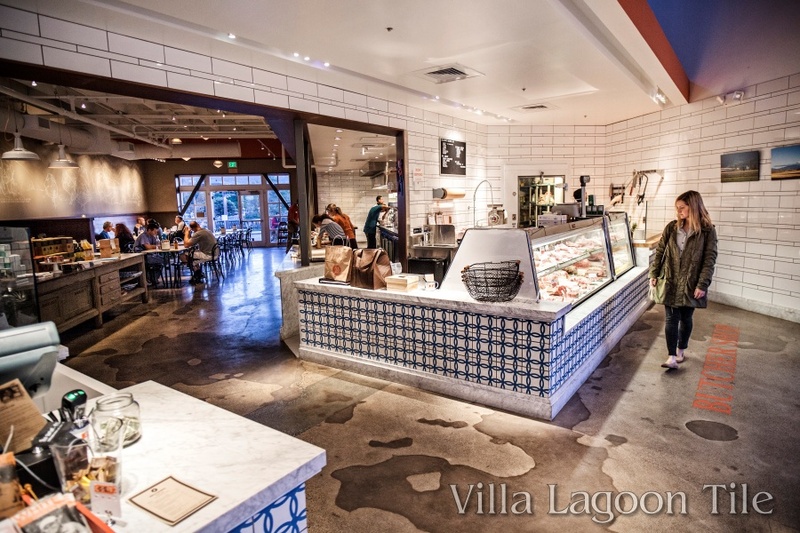 If you're in the San Francisco Bay Area, it may be worth a trip to the Belcampo Meat Co., in Larkspur, California (Marin County).